Introduction:The stainless steel twin screw extruder is a mixing machine with well performance,which is used for food, pharmaceutical,chemical industry, fetilizer,oil area, oil refining, animal remedy, coating,pigment and other materials. 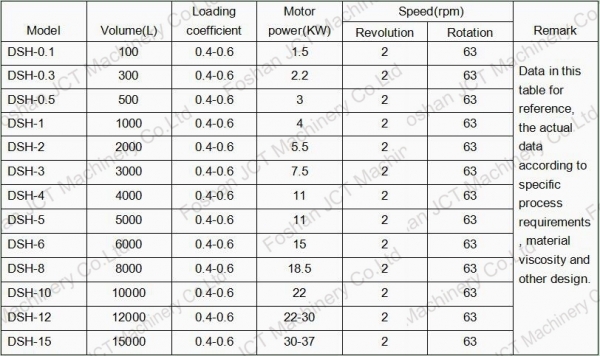 1.The stirring memeber of the conical twin screw mixer for the two asymmetric contilever the helix: length of each one, they are about their own axis while rotating(rotation), but also around the center axis of the cone-shapes container. 2. With the rotation of the pivot arm in the cone the body near the wall for a planetary the Activity(revolution):repeatedly enhance the device through the male, rotation of the spiral so that the material in the cone to produce shear,convection, diffusion compound motion so as to achieve the purpose of mixing. 3.Products according to the requirements of the design of the outer jacket(heating and cooling), nebuilzer dosing device. Widely used in the chemicals,pharmaceutical, pesticides, dyes,building materials and other powder and powder mixed reaction. 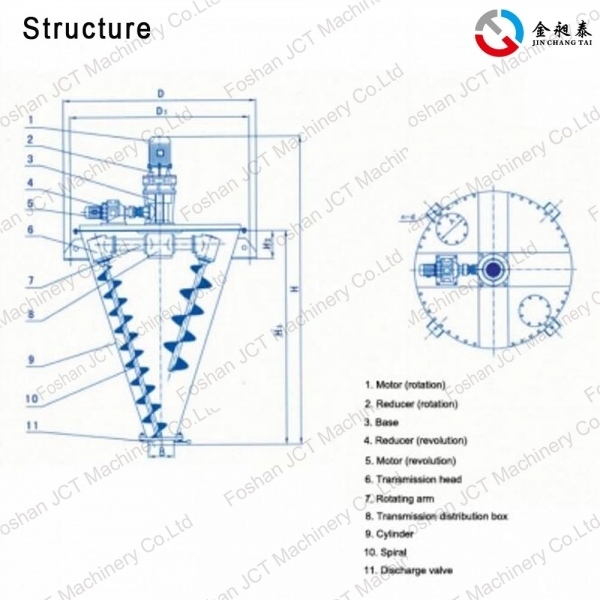 The conical twin screw mixer is widely applied for the solid-solid(powder to powder)and solid-liquid(powder to liquid)and liquid-liquid(liquid to liquid) mixing in food, pharmaceutical,chemical industry, fetilizer,oil area, oil refining, animal remedy, coating,pigment and other materials. 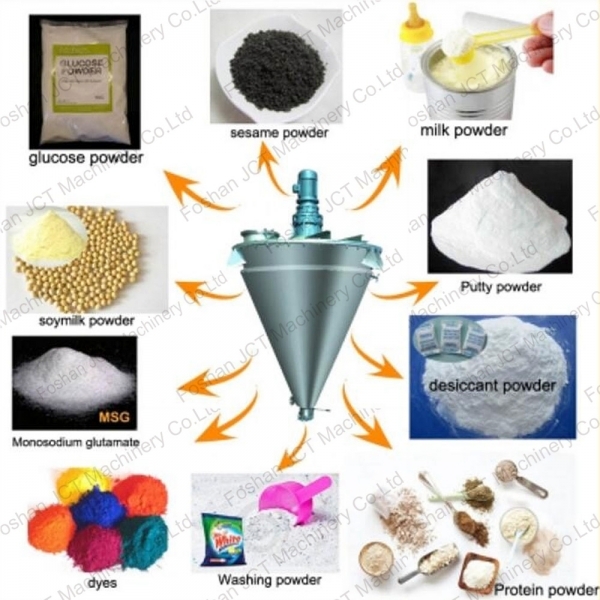 This powder mixer is greatly suited with mixed materials etc. it will produce no lamination and macertation phenomenon to the mixing combined with thermo-sensitive materials and holds a good suitablity to the mixing of rough materials,fine grains and extra-fine powders etc.